Mercedes-Benz offers a wide range of SUVs in India. This is a commendable feat considering they are all luxury vehicles. From the entry-level GLA, to the mid-size GLE to the bonkers G63 AMG, there's a lot to choose from. The only missing branch in the Mercedes SUV family tree is the one that sits between the GLA and GLE. Basically the Stuttgart carmaker never really challenged the Audi Q5 and the BMW X3. The GLE 250 does go up against them in terms of price but isn't from the same class. The GLK did in international markets, but then it never made it to India. In a way, that's a good thing. Despite being a capable vehicle, it wasn't as appealing as the rest of its SUV siblings since it was around for quite some time. However, all that is about to change as Mercedes is ready with an all-new SUV, the GLC. It's the GLK replacement internationally and seems to have what it takes to rival the Q5 and X3. 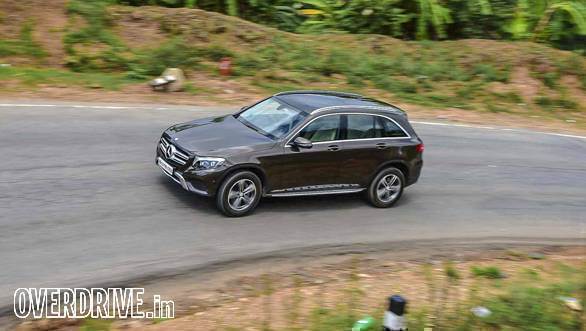 We've road tested both the petrol and diesel GLCs made for India. The C in GLC refers to the C-Class, since it's based on the sedan. The overall footprint is similar to the Q5 and X3, but it sits lower, giving it a station-wagon look. The face is a typical new-age Mercedes design, featuring a large grille and curvy headlamps that look a lot similar to various cars from the family. The daytime running LEDs and the dual projector units in the lamp add to the presence. 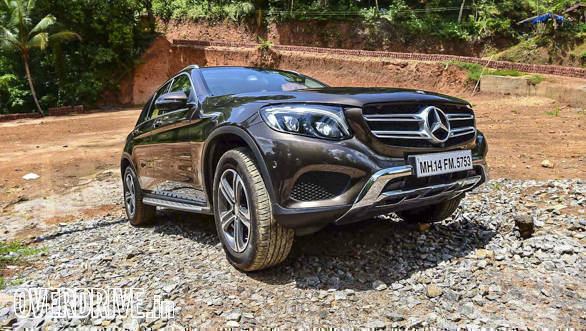 Since India gets the off-road package model, the SUV sits 20mm higher than the standard GLC. The front bumper gets more protection and is designed to offer a higher angle of approach. There's quite a bit of chrome too. It still is a fairly low vehicle for an SUV, especially the height at which the headlamps sit. Move to the side and the silhouette reminds one more of an estate than SUV, and this isn't a negative as it actually looks stylish. 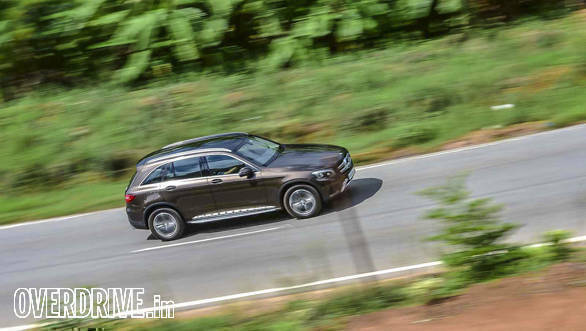 The raised height and the contrasting sideboards give GLC SUV-like character. Dual-tone alloys get a five-spoke treatment and are wrapped with 18-inch 235-section rubber. Interestingly, our GLC was running on Hankook Verde rubber while the rest in the fleet used Pirelli Scorpion tyres. Unlike the more athletic GLA, the GLC's sides are a lot subtler. The shoulder line isn't as prominent but that also gives it a more mature, elegant character. The rear end is smart too and quite unique when compared to all the other SUVs in the Mercedes line-up. It's more in sync with the Mercedes coupes and C estate. The sleek tail lamps feature LED lighting and look very attractive, especially when the sun goes down. Chrome detailing around the exhausts and the bumper is similar to the other Mercedes siblings. 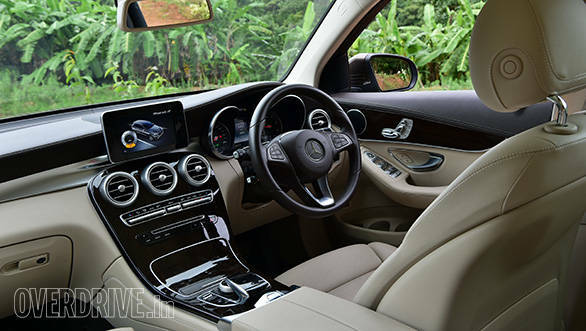 The GLC offers an interior that looks elegant and sporty. The overall layout and styling is similar to the C-Class. This makes it one of the best-looking cabins in a Mercedes SUV. Attention to detail and quality of materials used are top-notch. The various controls are easily accessible, and the centre armrest area also gets two switches for the various off-road settings. Based on the exterior colour, the interior gets a different hue. The brown GLC, for instance, gets a dual-tone black/beige interior while the silver GLC gets an all-black cabin. One can choose among various detailing options for the centre console and door panel inserts, including matte black and faux wood. Since the GLC will initially be sold as a CBU, there's only one variant available, the Edition 1. There are various features offered as standard. Ambient lighting like in the C-Class adds to the premium feel. A panoramic sunroof is also available as part of standard equipment. 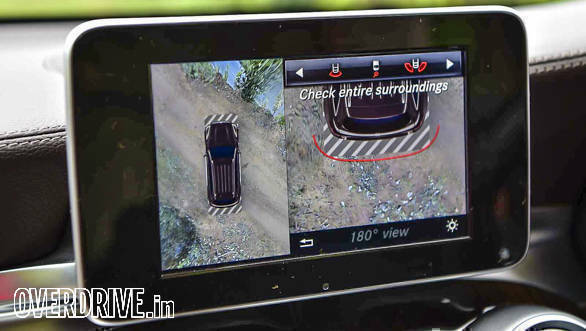 The 7-inch infotainment screen features various camera modes, including front and rear wide-angle views and a 360-degree aerial vision. The camera views come in handy, especially while parking, driving in crowded cities and off-roading. In terms of cabin space, the GLC offers more room than the C-Class sedan. The front seats can be electrically adjusted and also offer a memory function. Rear kneeroom is on par and better than many vehicles in its class. There are quite a few storage points too. The door pads can hold two large bottles while the rear armrest gets extension cup holders. Boot space is an impressive 550 litres and can be further extended to 1,150/1,600 litres with the rear seats split and completely folded, respectively. The second-row seats can be folded by simply pushing a button placed on both sides. The tailgate can be opened and closed electrically too. There are two engine options to choose from for India. The GLC 220d features the 2,143cc, turbocharged diesel that produces 170PS from 3,000-4,200rpm and an impressive 400Nm of torque available between 1,400-2,800rpm. The GLC 300 meanwhile uses the 1,991cc, turbo petrol motor that puts out 245PS of max power at 5,500rpm. This makes it one of the most powerful SUVs in its class. Max torque is an equally awesome 370Nm, available from an even lower 1,300rpm. On the road, the diesel is quite refined but still not on par with Audi's TDI unit in terms of NVH levels. However, power delivery is strong and there's a good amount of mid-range poke from the oil burner. The engine makes the GLC a good tourer. It's effortless and munches miles without any strain. There are various driving modes - Eco, Comfort, Sport, Sport+ and a customisable Individual mode. We ended up driving most in Comfort mode. 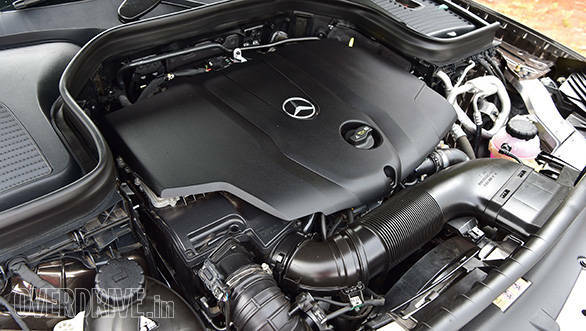 The 2.1-litre unit is the same engine seen in other Mercedes models. The diesel GLC reached 100kmph from standstill in 8.2s in our test (0.1s quicker than the claimed figure) and maxes out at 210kmph. While the current state of tune feels sufficient, a more powerful state of tune like in the GLE 250 and C 250 could have been offered as an option. We, however, feel that Mercedes will offer a GLC 250 in the future. This state of tune and the 9-speed transmission help the GLC 220 return impressive fuel-efficiency. In town, the SUV travelled 13.8km to a litre of diesel and increased to 21.3kmpl on the highway. These figures make it one of the most fuel-efficient vehicles in its class. The GLC 300 in comparison is a lot more eager lower down, thanks to a lower kerb weight and a more powerful engine. It's a quiet motor and reminds you that it's a petrol unit when it goes past 6,000rpm. There's ample power throughout the rev range, and it is a lot more enjoyable to drive compared to the diesel. 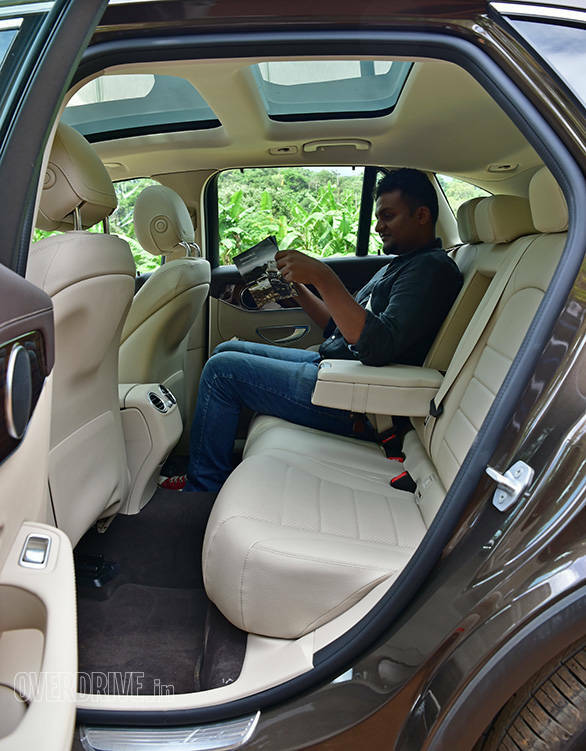 The cabin is also a lot quieter than in the diesel variant and on par with its petrol rivals. The Sport mode goes well with the turbo-petrol's nature. 245PS of power and a lower weight result in a power-to-weight ratio of 130PS/tonne, that's a whopping 43PS more than its diesel sibling. The GLC 300 is claimed to hit 100kmph from standstill in just 6.5s, but in our tests the SUV ended up doing the same in 7.1s. Top speed is a claimed 222kmph. Unlike the diesel, the petrol consumes more fuel per litre. 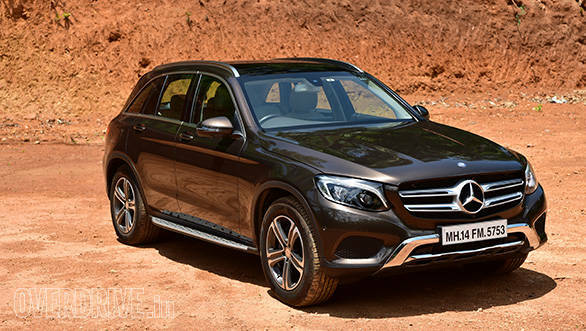 The GLC 300 returns 9.8kmpl and 16.7kmpl in the city and highway, respectively. The off-road package adds 20mm to the overall height; however, Mercedes doesn't have a ground clearance figure yet. While it seems enough, it does look like the other SUVs from this class offer more ground clearance. 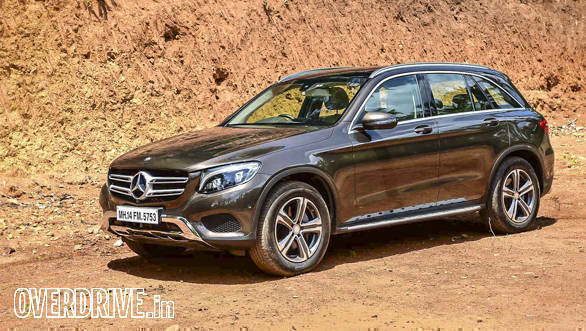 While one can't compare the GLC's dynamics to a sedan, it is impressive for an SUV. A slightly softer suspension set-up makes it drive well over undulations and potholes. This same suspension setting, however, makes the GLC roll more than expected, especially at higher speeds. The petrol variant is a lot better in terms of dynamics; it stays more planted. We didn't drive off-road, but there are various off-road settings pre-tuned for various conditions (off-road, incline and slippery). The ABS, ESP and the all-wheel drive system are altered accordingly. There's also hill-descent control offered as standard. The GLC is available in one fully loaded variant and gets a long list of standard safety and assistance features. These include parking assist, attention assist, adaptive brake lights, seven airbags and a tyre-pressure monitoring system. 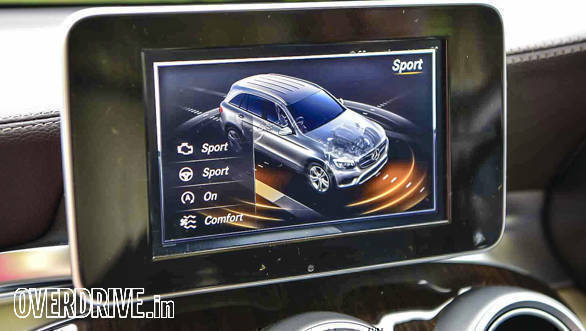 Other infotainment features include a 20-CD stereo, Garmin-based navigation, two USB ports and SD card inputs. 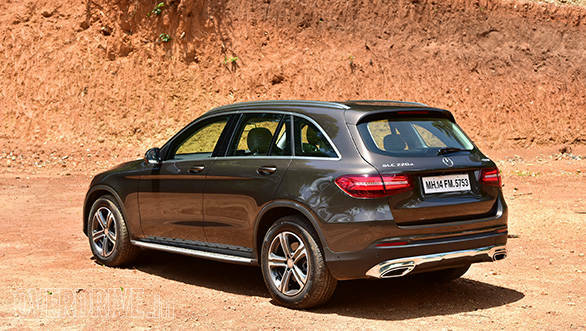 To make things better, the GLC is priced at Rs 50.7-50.9 lakh, ex-Pune. It's definitely well priced. In fact, the price is similar to its entry-variant German rivals. At this price, it has the potential to do well and give the Audi Q5, BMW X3 and Volvo XC60 a tough fight.